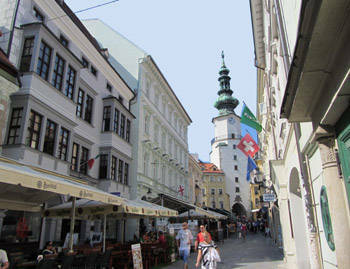 We provide Registered office for companies in Bratislava capital of Slovakia. Main advantage of virtual office is reduction of rental and operating costs connected with maintaining an own office. Virtual Office for company offering a wide range of additional services under the name Virtual Office. The basis of the virtual office is able to use our address as the address of your company, including the possibility of forwarding mail to your chosen address, notification of the received mail by email, telephone or by SMS. Fast arrangement of an office without necessity of a personal visit. 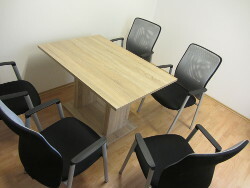 In our premises on Klincova Street can be rented air-conditioned meeting rooms with refreshments with a capacity of 5 persons, on the Michalska street for 6 persons and on the Kopčianska street for 5 people. The company’s seat is the address of a legal person registered in Business register and partially determined on the founding document and petitioner, a person who is demanding for registration in the Business Register. Faxes will be accepted on our company and will be re-sent email, or sent or re-sent to the customer along with other mail in printed form. Price for receiving faxes at € 8 per month for an annual payment. So € 96 / year. If you are interested in other services, contact us.